In 1959 my great grandmother, Ida Adam, moved to the Golden Age Nursing Home in Boerne. She sold the house that Conrad Adam built to the Thompsons. Mrs. Thompson was interested in the history of the place and created a large display with pictures and text. The fuzzy orange pictures are copies of the ones she placed in the display along with the text. 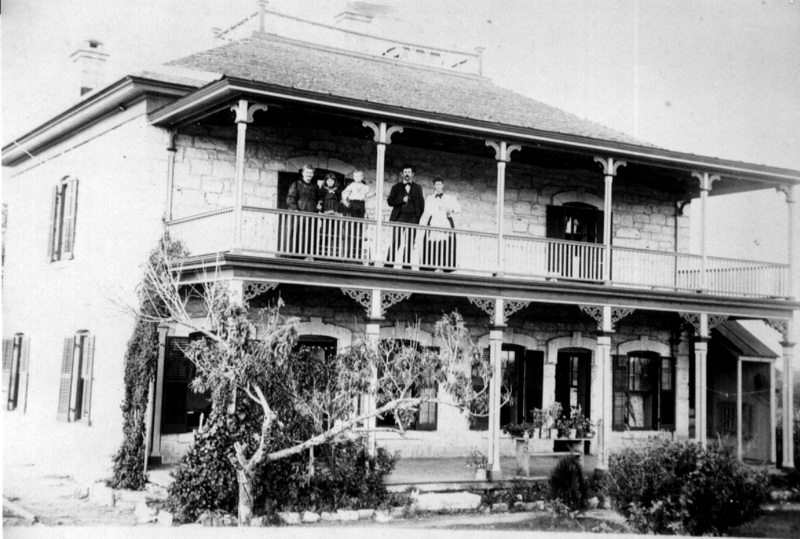 “Home built by Mr. and Mrs. Conrad Adam in 1873. Mr. William Schoenert contracted to build the house which took him one year. He was paid one dollar a day and board. Mr. Schoenert later married the third child of Mr. and Mrs. Adam, daughter Emilie. The house has four bedrooms three upstairs with plenty of storage space and one downstairs. The bedroom downstairs measures 15’x18’ with 11’ceiling. When the house was built the living room measured 15’x17’ 8” with 11’ ceiling. There is a fireplace in it. There is a bath on both floors. Small room added after original kitchen made of wood was torn away (by Julius Adam) room divided equally into four small rooms. 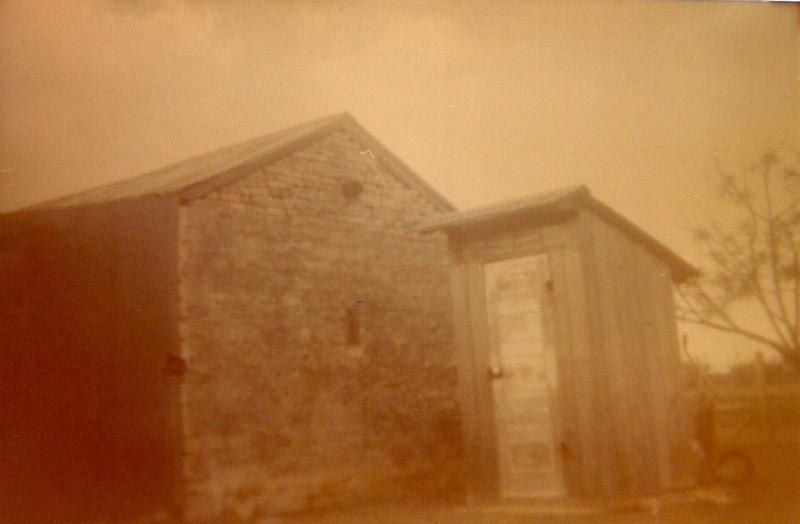 The cistern which was on a porch outside the original kitchen was enclosed in the N.W. corner room and was used for cream separator and milk utensils, S.E. corner room was used by Mrs. Adam for sewing room; S.E. 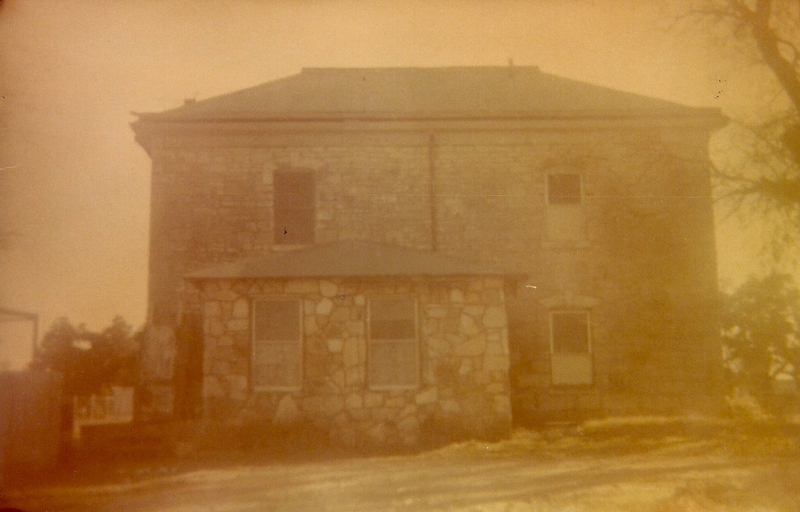 corner room was used for entrance on east side; S.W. corner room was the bathroom. The original [?} Was more narrow but the same length as the rebuilt room, and was entered through an enclosed passage way from the dining room, and was entered through an enclosed passage way from the dining room, double doors were on both east and west sides of the passage way. The dining room was used for kitchen by Adam family. Taken from plaque made by Mrs. Thompson who bought house from Ida Adam in 1959.
do you know where the house was located at? Yes, on Scenic Loop Road which is about 4 miles south of Boerne.